Snap Inc., the company formerly known as Snapchat, is about to make absolute bank, with news that it intends to file for an IPO seeking to raise as much as $4 billion, insiders told Bloomberg on Wednesday. If the IPO hits this kind of level, it would mean an overall likely valuation of the company at $25-35 billion. No final decision has been made, though, and the valuation could even push as high as $40 billion, the insiders said. They better be getting that make-it-rain filter ready! According to Bloomberg, Snapchat, or Snap Inc. I should say, are looking sell their shares in the first quarter of next year, and are preparing the filings now. As the company's revenue is under $1 billion, they intend to file the IPO documents confidentially through the U.S. Securities and Exchange Commission. This hides the exact details of their finances, and has been done in the past by other tech companies. 2016 has been a relatively slow year for tech IPOs, with only 9 popping up, with the biggest being Twilio Inc., which raised $172.5 million in June. The last big offering was Group, Inc., the owner of Match.com, OKCupid, and Tinder, who went public at $2.9 billion. That's still nowhere near Snap Inc. leagues, though. Snap have chosen Morgan Stanley and Goldman Sachs to lead the IPO. JPMorgan Chase & Co., Deutsche Bank AG, Allen & Co., Barclays Plc and Credit Suisse Group AG will all be involved as well, so it's clear Snap are really, really keen not to mess this one up. Not sure if they've heard the one about broth and too many cooks though. Snapchat is really asserting its position as a serious media platform now, with a massive active user base, steadily growing ad revenue, and other moneymakers such as sponsored lenses (filters) It will be interesting to see how this plays out, and just how much share value Snap can eke out. Valuations can fluctuate a lot in the buildup to an IPO as some in the company try and keep expectations manageable, whilst others involved in the deal try and pump up the value. The only true way we'll know is when it actually happens. One thing we do know is that it will be big. 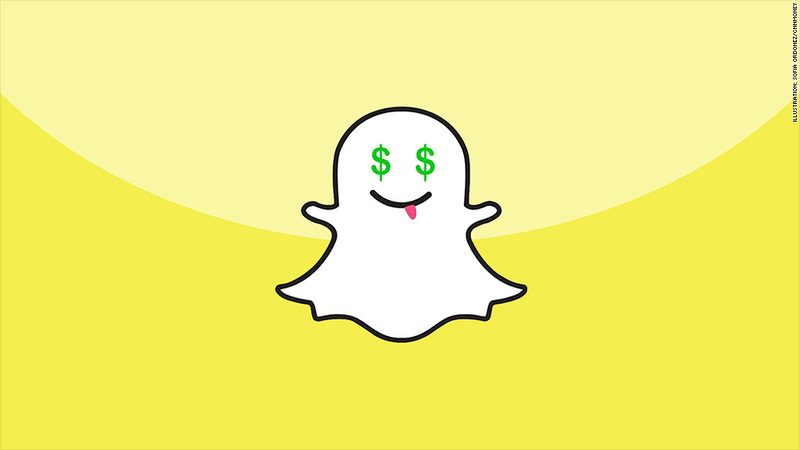 The last round of funding pushed Snap's valuation up to $18 billion, but this one could potentially double that. Aw, Snap!